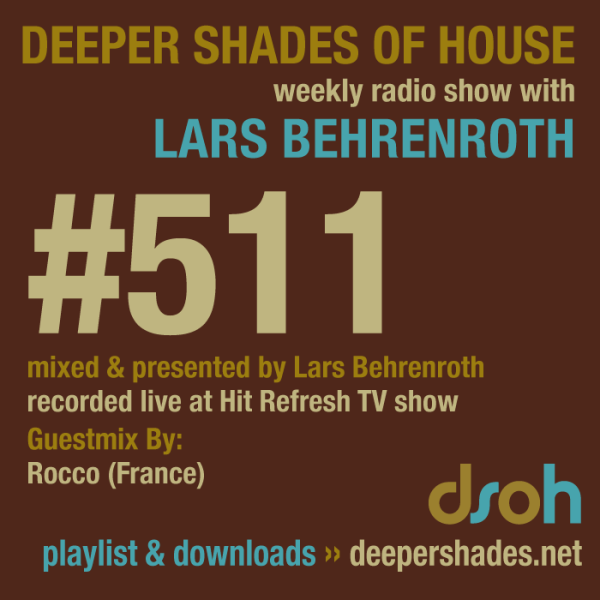 Deeper Shades of House Episode #511 with a special guest mix by Rocco (France). Lars Behrenroths part 1 in this episode was recorded in SA on HitRefresh [Vuzu TV] and it features music from Atjazz, Cazuma & Andreas, D-Pulse, Syanpson Feat. Anna Kova, At One and many more.